Yury Luzhkov is preparing to file suits against TV channels for critical documentaries shown about him and insists he has no conflict with the federal authorities. The ruling United Russia party will discuss the situation around Mayor Yury Luzhkov that has arisen after a series of documentaries about him shown by federal TV channels. The head of the party’s supreme council Boris Gryzlov has described the information reported by the NTV channel in a documentary shown on Friday as “controversial enough.” He noted that the issue had not been discussed at the meeting between the Russian president and leaders of the parliamentary factions on Saturday. The NTV documentary, harshly criticizing the mayor and some of his associates, was followed by similar reports shown by this channel and three others during the weekend. Gryzlov wanted to discuss the matter with Luzhkov ‘to form a judgment about the situation, within the party’s supreme council, Interfax said. “Not everything is so clear here,” Gryzlov added. In October 2009, Luzhkov headed the list of candidates for the city parliament from United Russia. The party won overwhelmingly in all 17 single-seat constituencies and got more than 60 per cent of the vote, according to the proportional representation system. 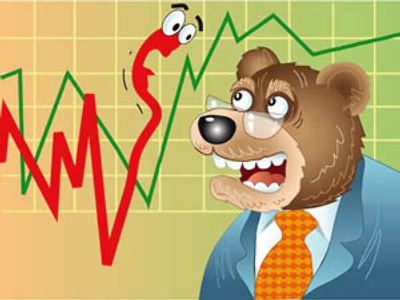 Media speculated at that time that after such success Luzhkov would certainly work until the end of his term in 2011. Luzhkov, 73, was appointed mayor in 1992 and he was then elected four times to this post. Head of the Liberal Democratic Party Vladimir Zhirinovsky stressed that a mayor should serve no longer than two terms in office. He also noted that the fight against corruption should begin with the Russian capital. The media say the mayor may resign soon. “The Kremlin has a reason to dismiss Luzhkov now,” a source close to the presidential administration told Vedomosti daily. The replacement of the mayor in 2011 “could affect the results of the campaign for the elections to the parliament and the presidential election next year,” the source said. “The new mayor will not be able to adapt to the situation and effectively manage the process,” he added. However, Luzhkov may help the party even without remaining mayor, an anonymous member of United Russia told the paper. The source was certain that Luzhkov will work his full term in office. 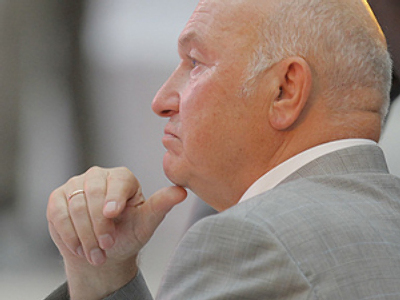 Two other sources in the Moscow government told Vedomosti that Luzhkov may leave his post in December. The media compared “the information campaign” against the mayor with that against Belarusian President Aleksandr Lukashenko, which took place several days ago. “Since last Friday federal TV channels have demonstrated several denouncing programs devoted to Luzhkov,” Vremya Novostey daily said. The campaign was started by the same NTV channel that showed a series of documentaries about Lukashenko. The channel reported on corruption cases involving some Moscow officials, on the mayor’s wife Yelena Baturina, about the construction of a new highway road through the Khimki Forest and about the scandalous demolition of houses of residents of the South Butovo district of Moscow. The state Rossiya 24 news channel showed a documentary accusing the Moscow authorities of destroying architectural monuments under the pretext of reconstruction. During the latest political forum in Yaroslavl, President Dmitry Medvedev touched on the mayoral issue, the paper said. “Representatives of the authorities should either participate in improving public institutes or join the opposition,” Medvedev said. “There are no conflicts, there are different opinions,” Luzhkov said, commenting on the recent developments. And if the conflicts do not exist, then, “according to Luzhkov, there are no reasons for his early resignation,” the paper said. Another daily, Kommersant, said that the conflict between Luzhkov and the Kremlin turned public after a source in the presidential administration accused the mayor of provoking the conflict between the head of state and the prime minister. In the last months, the targets of such intensive attacks were only Lukashenko and the head of Russia’s Republic of Bashkortostan, Murtaza Rakhimov, the paper said. Rakhimov had to resign, and “the new republic’s head made it clear that he intended to change the style of government,” the paper added. The criticism of Luzhkov is “a storming attempt related to the federal center’s desire to show who the master of the situation is,” Gennady Gudkov, a State Duma deputy from the Fair Russia party, said. “Otherwise, a replacement for Luzhkov may have been found and the attacks will continue to the end,” Gudkov told RIA Novosti. He noted that previous attacks have not been so intensive. “The main thing is if there is a man who will be able to cope with the situation in Moscow,” Gudkov said. Luzhkov is one of the main functionaries of United Russia, Melnikov said, hinting that the ruling party was also responsible for the activities of the city authorities. The federal center may have chosen a candidacy for the post of mayor, Melnikov agreed. “But the question if it would be better or worse for the city is certainly a rhetorical one, he said. Meanwhile, the mayor, his wife and the city government are preparing to file defamation lawsuits over the TV reports. They contained “groundless information,” the press service for the mayor’s office told Interfax. Media also noted that “the information war” against the mayor at the end of last week was followed by the unauthorized rally of the opposition held on Sunday. Police detained 31 people who gathered near the Moscow government’s building to protest against the activities of the Mayor’s Office. The participants of “the Day of Wrath” organized by the Left Front movement said their demands that Luzhkov should resign simply coincided with the TV reports and did not lose their significance.